Drones and self-driving cars continue to be all the rage at CES, the former Consumer Electronics Show, but autonomous technology is also making its way into things such as motorcycles with self-driving capabilities, flying cars and even underwater drones. BMW made a splash at the show with its iNEXT vehicle, which aims to answer the question about what a vehicle interior can look like when the car no longer has to be driven by a human. BMW also highlighted its self-driving chops with an R 1200 GS motorcycle that could drive itself. As demonstrated on an outside lot at the event, the R 1200 GS could steer and stop itself while its operator just enjoyed the ride. The technology isn’t intended to replace actual riders, just to make them better, BMW says. “Development of this test vehicle will provide valuable insights into riding dynamics, which can then be used to help the rider recognize dangerous situations and master difficult driving maneuvers,” the company says. Big automakers aren’t the only ones getting into the self-driving act, as there is still room for small companies to gain a foothold. BMW’s iNEXT concept uses lidar and computer vision systems from Innoviz Technologies, a three-year-old Israeli startup staffed mostly by engineers with military backgrounds. 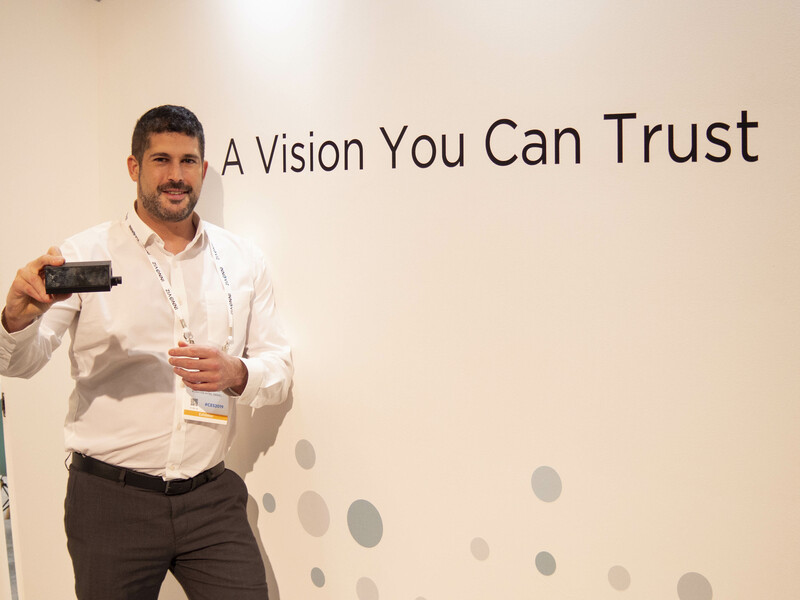 Innoviz’ lidar is a “small, solid-state solution,” just a few inches on each side and capable of being mass produced so it’s affordable, says Omer Keilaf, the company’s CEO and cofounder. “BMW is a very tough customer, very demanding,” he says. Bell made a splash with its debut of the Bell Nexus concept, a five-seat flying taxi styled like an upsized drone, complete with six ducted-fan rotors. It uses a turboshaft engine to power a generator that in turn distributes power to the motors. The Nexus is aimed at point-to-point urban flying, similar to concepts from Airbus, Uber and others. It takes off vertically and then the fans tilt to provide forward thrust. Another trend that has been picking up at CES in recent years is that of underwater drones, or personal ROVs (remotely operated vehicles). These are essentially smaller, cheaper versions of vehicles that have been used for years by the oil and gas industry and others for underwater exploration. A couple of years ago, there were one or two systems on display. This year, they were numerous, taking up a sizable chunk of the show’s drone hall. One of the pioneers of such systems is Sublue, which sells WhiteShark Max, an optionally tethered underwater drone with six motors. The company started doing underwater inspection, anti-explosive work and other commercial jobs. Two years ago it turned its attention to the commercial world and first got attention by building small motors that pull swimmers through the water, enabling them to stay under longer. “It’s quite a big value if we can utilize some of this robotic technology, including dynamic motion control, or visual AI. That’s why we are coming into this market, and we look forward to bring some change to this very old and conventional market,” says Sublue Vice President Jun Li. Li says competition in the market is good because it will help boost awareness of the state of the oceans, which are warming and increasingly polluted. Next year, the company plans to have an autonomous ROV that can follow a diver around, something that existed only in prototype form at this year’s show.